John Krasinski, the goofy guy from The Office, directs and stars in a horror film about alien monsters hunting down the remnants of Earth’s population, and the whole thing has about two minutes of combined dialogue. No, seriously. Skeptics need only make it through the first couple scenes of the film to realize that this premise is not a joke, and neither is this director. A Quiet Place is a genuinely, viscerally frightening experience, dangerously immersive through masterful sound design and superb acting. 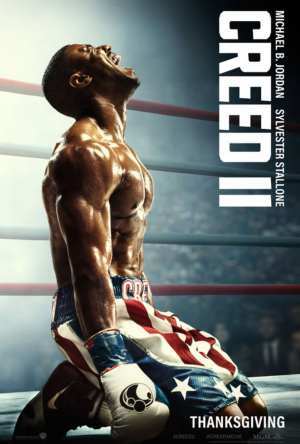 It hits the ground running and doesn’t let up until credits begin to roll and the audience collectively exhales. Real-life Hollywood power-couple Krasinski and Emily Blunt play Lee and Evelyn Abbot, parents raising young children amid the destruction of the human species. The family resides on a farm in the countryside, living what would be an ideal, peaceful life if not for the ravenous insectoid creatures roaming the woods and the cornfields nearby. The monsters are blind, operating instead on lethally acute auditory perception. In other words, don’t step on any nails (trust me). The Abbots communicate through sign language and walk barefoot for fear of drawing the lightning-quick creatures to their location. Inevitably, believable, human mistakes occur, and the family must silently struggle for survival as the otherworldly nightmares close in. Sound design. This is the key to the success of every scare and every moment of suspense in A Quiet Place. The inventive use of sound in this film makes a familiar creature and gimmick feel entirely fresh. The opening sequence is perhaps the strongest of the film, during which the Abbots search a convenience store for supplies before dusk settles in. Dead silence accompanies their hunt, save for the occasional muted bumps and squeaks of metal and plastic. The safety net of reassuring audio cues like dialogue in most horror films is taken for granted, as before any visual scares even take place, (and they soon do) the silence manifests itself in the form of visceral dread. The feeling becomes much more intense when we switch to the perspective of Regan Abbot (Millicent Simmonds), a young girl who is deaf. We hear what she hears – claustrophobic, oppressive silence. By contrast, the creature’s roars are deafening, and when they hear their prey, the rumble of their quadrupedal gallop overwhelms all else. Clever cuts between these noises and Regan’s aural prison leave the viewer torn between fearing sound when it exists and clinging desperately to it when it’s taken away. A Quiet Place feels both authentic and relatable (rare qualities in horror) thanks to outstanding performances from its leads. At this point, if you don’t think Emily Blunt is one of the best in the biz, you must have spent the last decade hiding from aliens under a rock. Blunt’s Evelyn displays a mother’s unwavering selflessness and courage for her children that are only amplified by tragedy and danger throughout the film. Her portrayal is raw and real, and natural chemistry with her husband results in one of the more organic and convincing depictions of an onscreen family in recent memory. While exceptional work from Blunt is a given, the rest of the cast meets her standard. Krasinski’s real-life parental anxiety is palpable in his performance, giving moments of chaos and desperation as well as moments of tenderness an unscripted human touch. Particularly powerful is the relationship between Lee and his daughter Regan. Despite entirely silent interactions due to the latter’s condition, the comfortability between the two results in intense emotional attachment to their relationship throughout the film and makes tense moments all the more stressful. A few lapses in logic are a small price to pay for all the good in A Quiet Place. Just as the bombardment of thrills in the third act threatens to cross the line between suspense and tedium, the film smartly cuts off, ensuring a good aftertaste. Krasinski’s first venture into horror is a brilliant success, but be warned: The film’s greatest strength is also its Achilles heel. As sound giveth, sound taketh away, and an obnoxious, noisy moviegoer can completely spoil an otherwise unforgettable cinema experience. Just got home from seeing A Quiet Place with mom, and oh my gosh. I absolutely love this film. It is horror done *right*. A very straight-forward premise consisting of a family struggling to survive an ongoing global attack by creatures who hunt by sound. They may be blind, but their hearing is so acute that they can pick up sounds from miles away if they focus, and they’re covered in nigh indestructible natural body armor to boot. In the midst of this we follow one small family who have done their best to adapt to a new life where silence means survival. There is so much tension from the very start and the film gives you only precious few moments to take a breath before it throws you right back into the thick of it. John Krazinski went above and beyond directing/starring in this film, and each of the characters is so incredibly human. 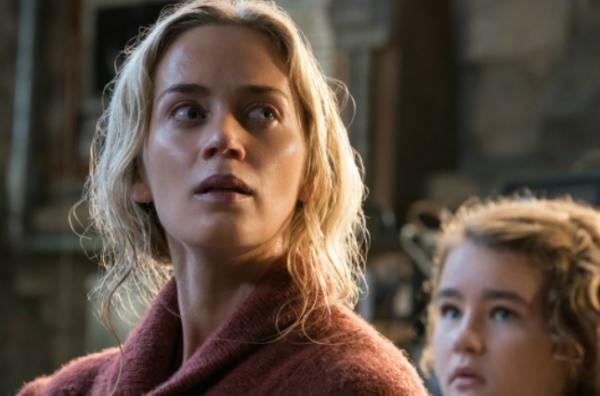 So often in scary movies I just have to roll my eyes or shake my head in confusion at the motivations or actions of poorly written characters, but A Quiet Place offers a simple and relatable story in an incredibly unique way. It is so easy to empathize with this family and their struggles because they face ordinary family problems, but magnified a thousand times through the stress of living under the constant fear of the swift and painful death that even the smallest, most innocent noise can bring. I highly recommend catching it in theaters, where the atmosphere can really envelop you. I can honestly say that I’ve never been more painfully aware of chewing my popcorn. The movie is not without its faults, but honestly any problems I can find in the story are easily chalked up to old-fashioned human nature. Ultimately they can’t detract from my utmost admiration of this film. A Quiet Place. Definitely recommend it.